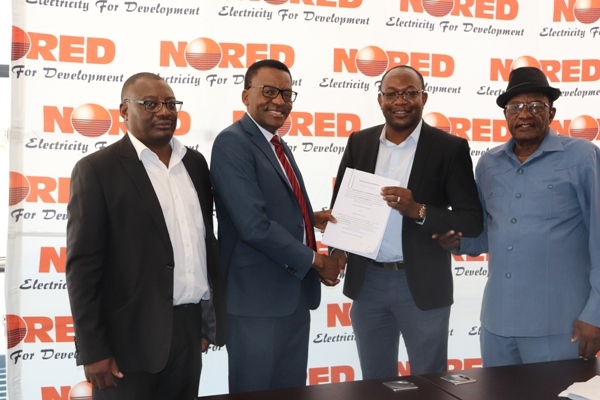 NORED signs a three (3) year Service Delivery Agreements (SDAs) with Regional Councils and Local Authorities Councils within its area of operation. In our quest to improve, efficiently and effectively render services to people, NORED has reviewed and signed a three (3) years Service Delivery Agreements (SDAs) with all most all the Regional Councils and Local Authorities within its area of operations. NORED decided to enter into smart and strategic partnerships with these public institutions with a principle and common objective to improve and optimally deliver services to the people. 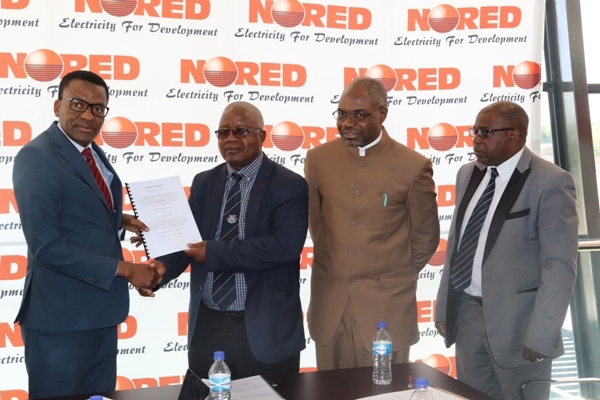 So far, NORED signed Service Delivery Agreements with seven (7) Regional Councils such as Omusati, Oshana, Kunene, Kavango East, Kavango West, Oshikoto and Kavango West. Whereas, Zambezi Regional Council and other local authorities such as Omunthiya town, Oshikuku town, Okahao town, Rundu Town, Divundu Village Council and Tsandi village council will sign in due course.